Our Annual Conference held on April 24‐25th in Denver provided the opportunity for many of you to connect, see old friends and strategize about ways to make our work more effective in Black communities. A huge “thank you” to our colleagues at Colorado Blacks in Philanthropy for welcoming us to Denver and organizing the workshops and off‐site sessions Saturday afternoon. We look forward to partnering with other regional Blacks in philanthropy groups at our upcoming conferences in the future. giving circles, United Ways or individual donor). We hope this framework serves these goals. The framework sets a “high bar”. It is meant to challenge our thinking and strengthen our investment strategies, not to demean or “call out” grantmaking that misses the mark. It assumes that given the right tools and supports, more grant‐makers will work towards the betterment of Black communities. For that reason, we are developing a set of resources to help our members spot, design and understand the lessons learned of grantmaking deemed responsive to our communities. a new Responsive Philanthropy in Black Communities Webinar Series to showcase and discuss investment strategies that are more likely to improve negative outcomes in Black communities. 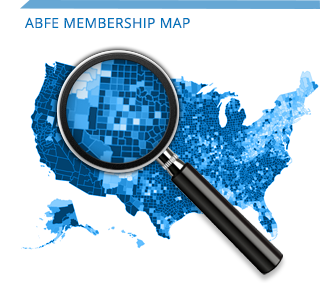 ABFE will hold four webinars this year. These webinars are free to ABFE members and partially in response to membership’s request for more professional development opportunities. our forthcoming Responsive Philanthropy in Black Communities Toolkit designed to help grantmakers further strengthen their investments in and for Black communities. Again, these tools will be accessible to ABFE members via our website. our Responsive Philanthropy in Black Communities Professional Development Workshops and Technical Assistance Forums to be conducted at cost to regional associations, regional Blacks in philanthropy groups and individual funders (foundations, United Ways, giving circles, etc). All of these resources will be available within the next few weeks. Overtime, we also will begin to build‐out our Responsive Philanthropy in Black Communities Knowledge Center on our website to showcase promising practices in this area for our members. We look forward to your participation, engagement and feedback on these resources! And we look forward to our collective work in the future. Thank you for your continued support in the urgent work we are doing in the field on behalf of Black communities. In 2011 ABFE will celebrate 40 years of promoting effective and responsive philanthropy in Black communities. Come join us in Philadelphia, Pennsylvania on April 9th and 10th, 2011 and help us celebrate this milestone occasion!